Integrated Supply | Storeroom Design & Operations | Synovos - Supply and Assets. In Sync. Synovos’ storeroom design and operation services improve reliability, productivity and savings. Synovos’ roots are in MRO storeroom management. This is where we got our start. We know the storeroom operations business better than anyone and we do it exceptionally well. Our implementation teams work tirelessly to ensure your end result is increased reliability, productivity and savings. Our storeroom management services include organization and coordination of your indirect materials storeroom. This includes stocking, barcoding, inventory optimization, identification of critical spares, reduction of obsolete inventory and much more. We work in any environment from a single location to an enterprise environment. I initially had some concerns with an outside company taking over parts order, re-stocking, etc. I have to say that my misgivings were 100% unwarranted. Synovos provides experienced site personnel, including storeroom attendants, buyers and site managers, as well as MRO integrated supply inventory management services and technology. Our bench is deep and we’re ready to jump in the game when you need us most. A general manufacturing company located in the Midwest detected a rapid increase in the cost of MRO materials associated with its production lines. The sharp cost increase was both surprising and confusing. 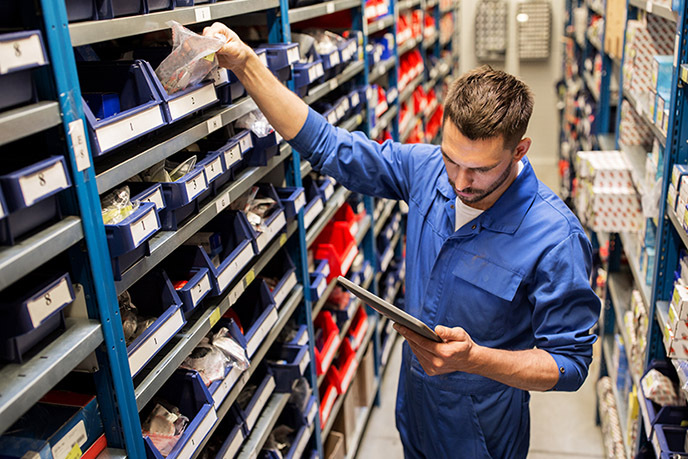 The company deployed Synovos’ third-party MRO storeroom management program at two of its five production sites to better control storeroom inventory, improve purchasing power, and accent the company’s drive for continuous improvement. Supply and Assets. In sync.